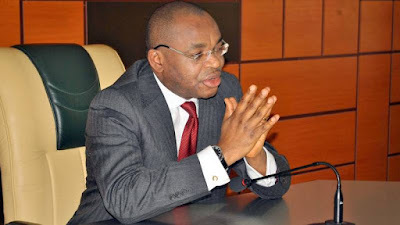 The Akwa Ibom State Governor, Udom Emmanuel, on Wednesday, effected a minor change in the State Executive Council. Mr. Emmanuel sacked his Commissioner for Education, Paul Udofia, whom he replaced with Victor Inoka, a professor. The governor announced the creation of a new ministry, the Ministry of Labour, Productivity and Manpower Planning. Ibanga Akpabio, a lawyer, has been assigned to the new ministry. The new commissioners were sworn-in yesterday at the Government House, Uyo. The Commissioner, Ministry of Labour, Productivity and Manpower Planning, Mr. Akpabio, a relative of the former governor of the state, Godswill Akpabio, was the vice chairman of the Peoples Democratic Party, PDP, in the state before his latest appointment. Mr. Akpabio, who is the Senate Minority Leader, was present during the swearing-in of the new commissioners. Although Governor Emmanuel did not give reason why he sacked the education commissioner, people who are closed to the government said Mr. Udofia’s performance was below average.